Many people are looking to invest their money in the world's most valuable cryptocurrency while some other people don't even know Bitcoin. Its hard to imagine people not knowing what Bitcoin actually is, giving the rate at which news about such growing investments actually covers the world. But for Starters, It's a digital currency (there are more than 800 now) that isn't controlled by a central authority such as a government or bank. It's created by "miners," who use computers and specialized hardware to process transactions, secure the currency's network and collect bitcoins in exchange. There is a quote like 'If i had 5 hours to chop down a tree, i will use 4 hours in sharpening the saw and an hour on the cutting'. Why Bringing up this qoute?, well alot of people are looking to sink their life savings into buying this cryptocurrency but before putting all your eggs into this basket, why don't you take some time to know better about this basket. Here is a resarch the team did about Bitcion which most of us don't know and should help us make informed decision when it come to investing in the cryptocurrency. 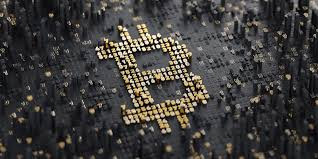 Origins of bitcoin trace back to 2008, when its creator, who went by the pseudonym Satoshi Nakamoto, published a proof of concept for Bitcoin. The proof was then published to a cryptocurrency mailing list in 2009. Nakamoto left the project in 2010 and disappeared, but other developers picked up the work. Bitcoin's birthday is Jan. 3, when Nakamoto mined the first 50 units of the currency. While it may not seem like it, people continue to use bitcoins to buy stuff. Many stores now collect the coin as a mode of exchange in some advance countries. The largest businesses to accept the cryptocurrency include Overstock.com, Expedia, Newegg and Dish. The U.S. government was one of the largest holders of bitcoin. In 2013, after the FBI shut down Silk Road, a darknet site where people could buy drugs and other illicit goods and services, it took over bitcoin wallets controlled by the site, one of which held 144,000 bitcoins. Investors have been making a killing by bidding on government-seized bitcoins. Apart from the U.S.A many other countries have invested in the coin and have or are working on policies that will make the coin a legal tender that will be accepted all across their nation. PowerCompare, a U.K.-based energy comparison tariff service, estimates that Bitcoin mining consumes more electricity than 159 countries, including Ireland and most countries in Africa. Power consumption for all cryptocurrencies is on track to use more electricity in 2018 than the whole of Argentina, according to Bloomberg. I made this post because even the most tech savvy among us have a hard time wrapping their heads around Bitcoin. It's a hot topic and a frequent point of discussion among investors, entrepreneurs and stock traders, so here are a few things from an array things bitcoin has which most of us don't know. We wish you nothing but success when making your investments decision, Entrepreneurship is all about taking risk, so take the risk if after your evaluation you see that its a risk worth taking.